How Will Haryana's Precarious Identity Politics Play Out in the 2019 Elections? Even though the BJP has reduced governance to identity and arithmetic, it may win again. Despite a disastrous five years – with no coherent policy to address the widespread agricultural crisis or unemployment – most pundits are calling the election in the National Democratic Alliance’s favour. Various factors – including the Pulwama attack, muscular nationalism and the supposed failure of the Congress to stitch alliances and end intra-party conflicts – are being proposed as reasons for this outcome. What will the upcoming elections look like in Haryana, which is located in the Hindi heartland and has no strong regional identity of its own? In 2014, despite Haryana being one of the richer Indian states, Narendra Modi promised to bring the ‘Gujarat model’ there and won. Haryana did not need the model but it voted for it in both national and state elections, giving the BJP its first-ever government in the state. The incumbent chief minister also contested elections for the first time in 2014 and, currently, runs an unpopular government that is projected to get a second term. The political discourse may well be determined by national security and Congress infighting, but reasons for the BJP’s projected victory despite a failure to address the agrarian crisis or unemployment – two factors that dominate Haryana’s politics – are to be found in the 2014 elections: a struggle against local elites and the sub-regional fragmentation of votes. 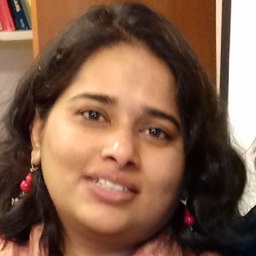 Between August 2014 and October 2015, I was conducting fieldwork in rural Haryana and Chandigarh. In conversations I had, the 2014 state elections were a dominant theme (from October to November 2014). In Sirsa, Hisar and Fatehabad, I observed strong support for chief ministerial candidates rather than parties and the absolute conviction that either Om Prakash Chautala and Kuldeep Bishnoi – sons of Devi Lal and Bhajan Lal, respectively – will become the next chief minister. My research did not take me to Bhupinder Hooda’s constituency but reports suggested a similar level of devotion. The fascination for chief ministerial candidates in Haryana predates Modi’s presidential style of campaigning and branding exercises. It is a product of the strong regional orientation of its colourful leaders, Devi Lal and Bhajan Lal, who quit the Congress after being denied the chief minister’s post. These leaders cultivated the local population with recruitment in public posts according to both caste and regional considerations, effecting a fragmentation of state’s electoral verdict. The political equations presented a mathematical possibility – ripe for the BJP to exploit. Both at the local and state level, the party presented an option against local elites – especially those from the Jat community. The communities marginalised by Jat dominance had come to identify the Congress as a Jat party due to the power wielded by Hooda and Randeep Surjewala before 2014. With the UPA announcing reservations for Jats (later overturned by the Supreme Court) in its final days, this alienation was complete. The 2014 Lok Sabha mandate in Haryana also represented a consolidation of non-Jat votes in favour of the BJP. In the state elections that followed, Chautala, Hooda and Bishnoi won in their strongholds – but only in those areas. The BJP had capitalised on the strong anti-Jat sentiment, while also attracting a significant portion of Jat votes. Jat voters responded to Modi’s muscular politics. They had also come to expect that a Jat would always become the chief minister – irrespective of the party in power. 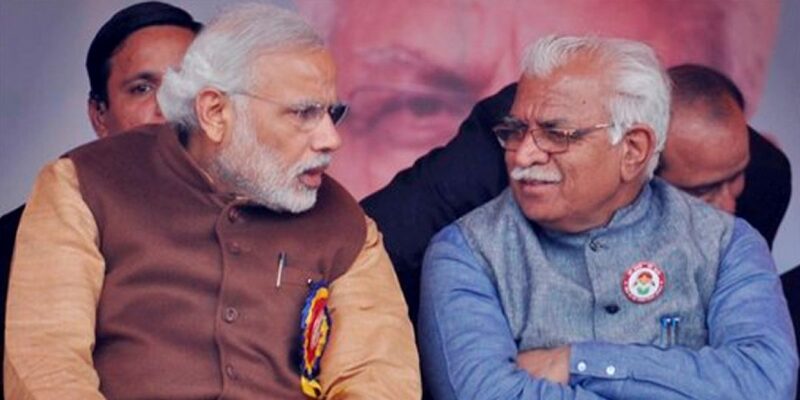 The BJP’s decision to appoint Manohar Lal Khattar was a perfect calculation of Haryana’s regional and caste dynamics. As an RSS worker from the Punjabi community in Rohtak, Khattar was the right identity and his inexperience (and later, incompetence) has never seemed to concern the BJP. Land acquisition, the continuing agrarian crisis, reneging on the promise to increase minimum support prices, lack of recruitment for even vacant government jobs and a non-Jat chief minister are some reasons why Jats may not vote for the BJP again. But getting identity politics right and implying that local elites cannot take their dominance for granted has accrued at least short-term political dividends. After the Jat agitation for reservations and the widespread violence of February 2016, non-Jat communities may accept bad governance as the cost of keeping Jats out of power. Randeep Surjewala’s recent defeat in by-elections in Jind may be an indication that the BJP’s tactics are working. With the parliamentary decision to provide reservations for economically backward communities, the BJP has also neutralised the political threat posed by potential mobilisations for backward status and reservations by Jat, Gujjar and Maratha communities. Weeks before the upcoming polls, the Congress now has both an advantage and difficult decision. It already has competent leaders from non-Jat communities – Ashok Tanwar and Kuldeep Bishnoi, who returned to the Congress fold in 2016. Additionally, Chautala’s INLD is currently embroiled in a bitter family feud, giving Tanwar and Bishnoi a distinct advantage. But alienating its Jat leaders like Hooda and Surjewala, who have been loyal to the party when senior leaders like Rao Inderjit Singh jumped ship, is a difficult decision for the Congress. While struggles against Jat dominance have been justified to a large extent, the BJP has successfully reduced policymaking and governance to identity politics and arithmetic. Unemployment and the continuing agrarian crisis may have a slow effect on the voter and, in the long-term, the Congress may come to represent a resistance against both local elites and national crises. In the short-term, however, the BJP may win this election despite poor governance.